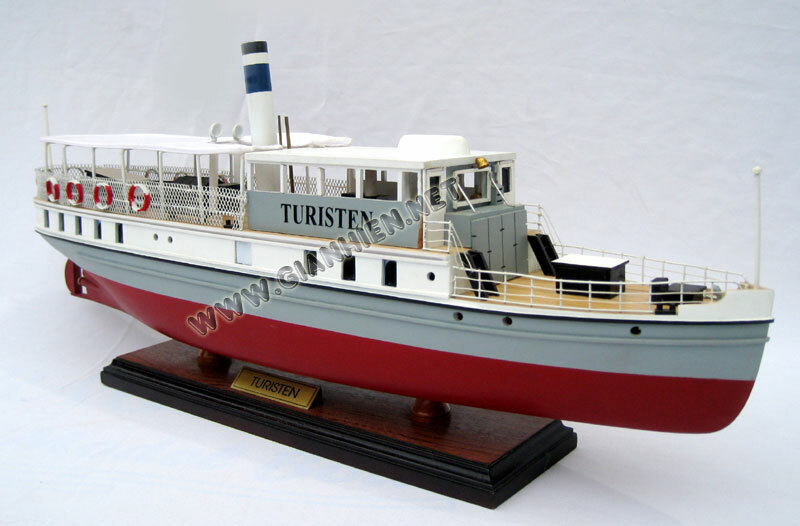 This model steam ship is hand-crafted from hard wood with planks on frame construction and then painted with colors like the original real ship. Model is fully assembled and ready for display. 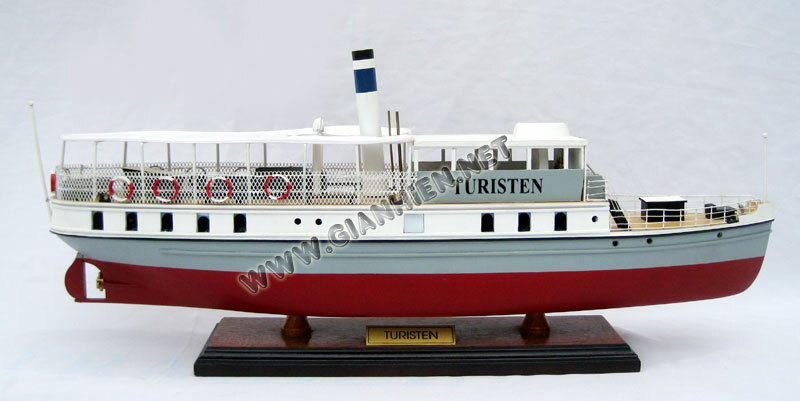 D / S Turisten is a steam ship built at Nyland mechanical workshop in Chrisiania (Oslo) in 1887. 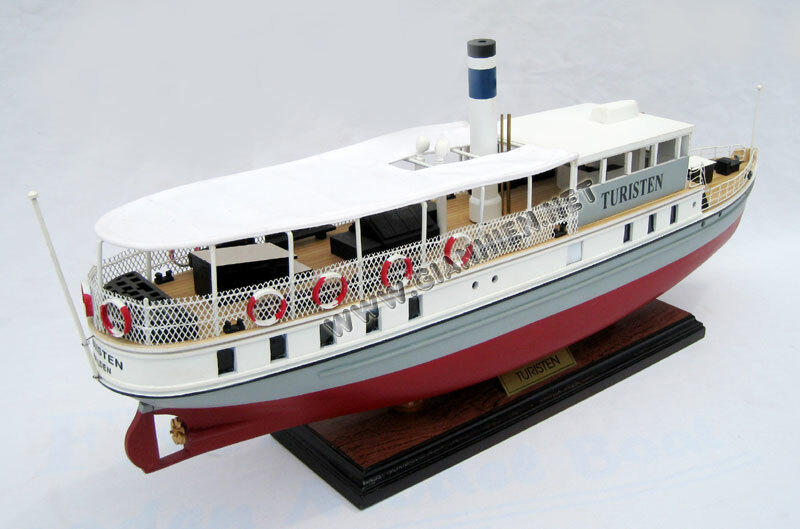 It was served as a passenger on the Halden Canal from 1887 to 1963. In 1967 it was sunk in Femsjøen. In 1997, of which 30 years later, the hull was raised and then it has been moved to Stathelle for restoration until June 2009. 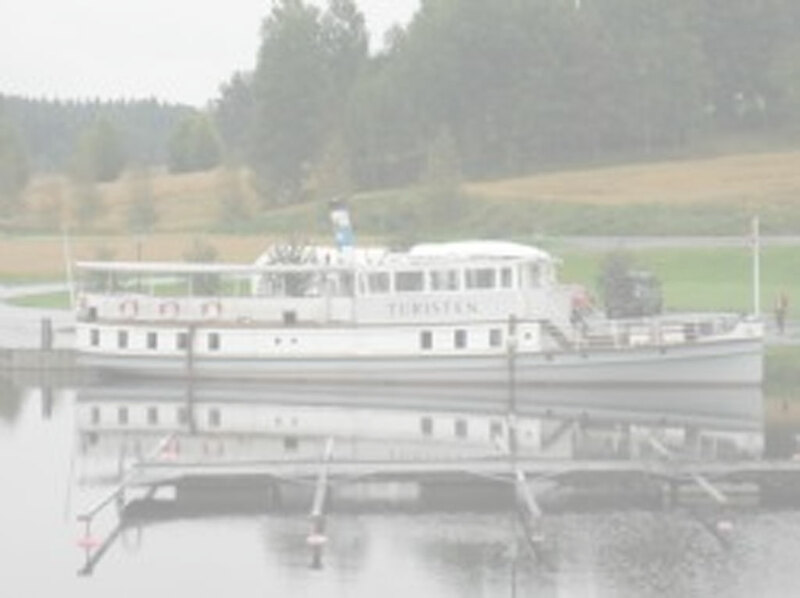 From June 2009 she was towed from Stathelle to Halden for the great festival where she was launched 42 years after she sank. After many decades, she goes back to serve as a steam ship again.